I’m a scion from a large but emotionally close Louisiana family. Germane to most families, we deal with issues like: gossip, holiday spectacles, deaths, births and of course, marriage. Nothing can bring a family together outside of the holidays like a summer wedding. One isn’t asked to participate in these types of events in my family. You are conscripted. Nothing else you have going on that weekend is as important. God forbid you miss it. Chances are you will never live it down. No excuse is valid. Got to work? Then we are telling you early enough to take off. Sick? Granny has something that will make you feel better. Just come on. No money for a hotel room? Don’t insult us! Sleep in the den. Got a date? Bring her/him along. We’ll feed her/him! As well as asking a million questions and tell stories that you hoped to carry to your grave. Well it just so happened that this weekend I was test driving a 2016 Mercedes-Benz Sprinter 3500 4X4 Freightliner Van. 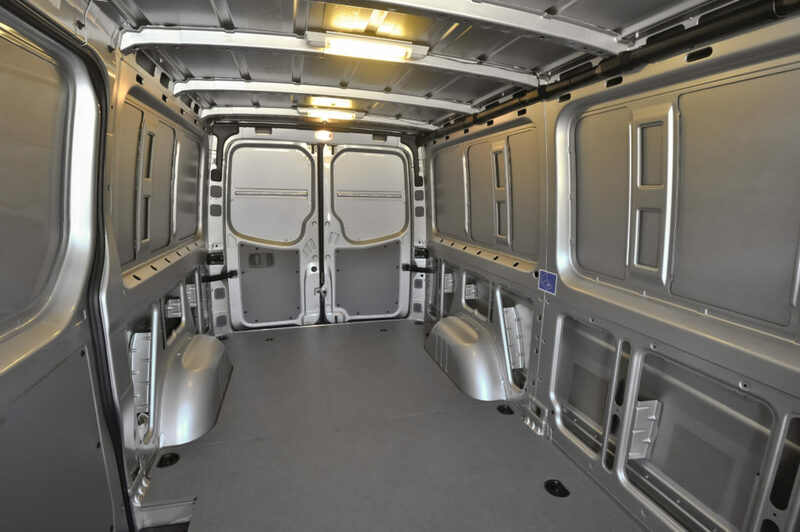 Mercedes-Benz Sprinter Cargo Van Interior has 330 cubic feet of cargo space. Initially, I was terrified at the thought of driving around Dallas in a vehicle tall enough for me to stand in. Driving it to Shreveport, Louisiana, was a animal of an entirely different color. Not only was I invited to the nuptials of Casterdale and Geneva Williams, but I was strong-armed into cooking. Yes I can cook. Being the eldest grandchild I spent most of early years with my grandmother/best friend. Idella taught me to fish, gamble, garden, sew and cook among other things. So as all my younger siblings came along I became their indentured cook. Now the 170″ tall Mercedes Benz Sprinter Van has been turned into a blessing. As I easily pack it full of my clothes, dishes, chaffing and serving trays, any leftover plates and possible decorations that I pick up enroute. Even with boxes and plastic containers filled to capacity there was no way I was going to fill this van. The High Roof model that I had boasted a payload capacity of 5,500 pounds with 330 cubic feet of cargo space. Mercedes-Benz Freightliner Sprinter 3500 Cargo. I have an entirely new found respect for our FedEx and UPS drivers. One of the best features I found was the lane assist feature. Active Lane Keeping Assist can detect if you’re straying from your lane. The system warns you by vibrating the steering wheel, and then, if necessary, it can apply the brakes to help bring you safely back into your lane. There is also Collision Prevention Assist. A radar sensor system monitors the area around your vehicle and can warn you if it detects a vehicle in your blind spot. If you begin to turn, the signal beeps and a light flashes in your mirrors. In some instances the system can actively apply the brakes to bring you safely back into your lane. There is also a PARKTRONIC rear camera and vehicle motion alarm when the van is going in reverse. As if I didn’t feel commercial enough. Crosswind Assist is activated from 50 mph and up. At highway speeds, in response to crosswind and gusts. The system brakes individual wheels on the side facing the wind and effects a steering correction to prevent the vehicle from drifting off course. 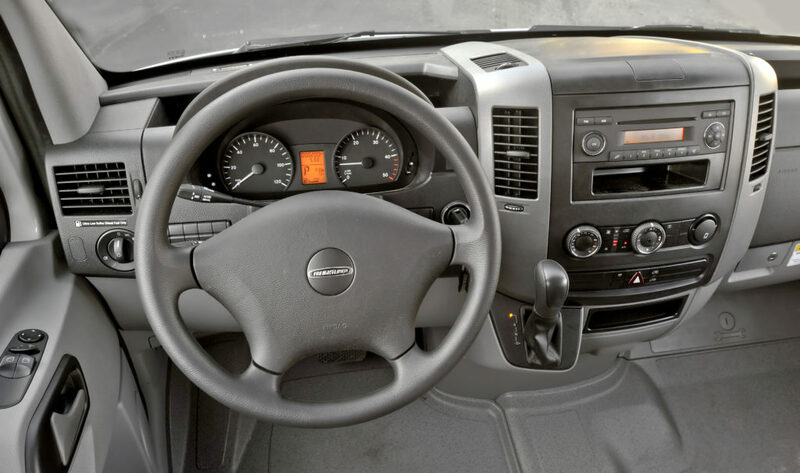 The need for counter-steering in response to sudden gusts is lower, relieving the strain on the driver. 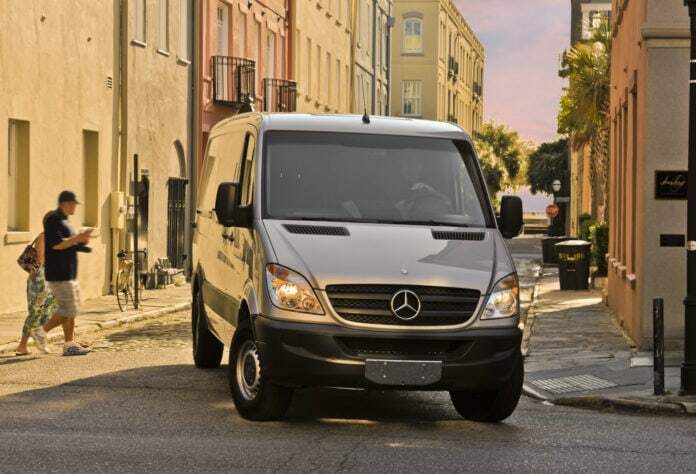 The Mercedes-Benz Sprinter offers a wide variety of features such as having service intervals up to 20,000 miles. Offering reliable and efficient transportation to anyone who needs storage and comfort for short or long distances. 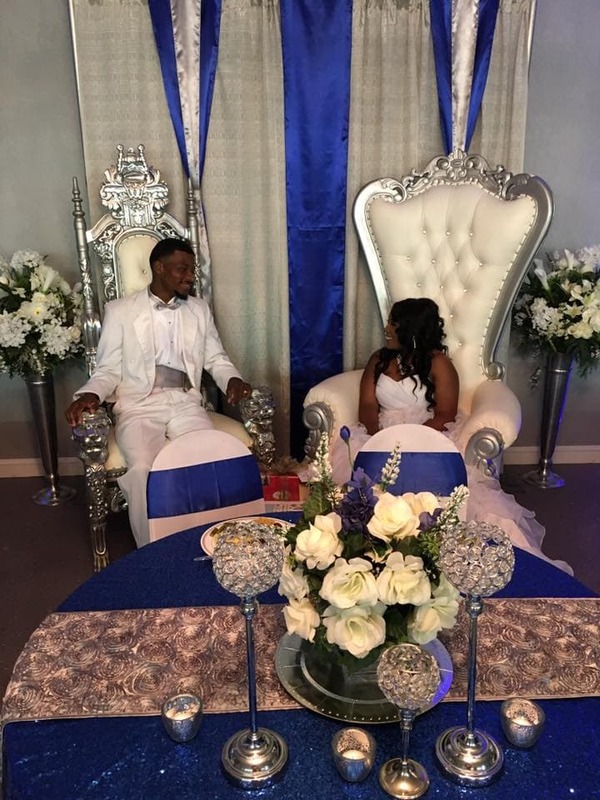 Casterdale Williams and Geneva Smith tied the knot on June 5, 2016. The Sprinter 3500 carried that knot and every thing that came along with it. The Sprinter Van is a great option for anyone who needs a commercial van. It’s a great alternative for anyone whose job demands versatility, safety and utility, like a contractor or … indentured caterer. Once I got to Shreveport, my sister gladly allowed me to take over the driveway so that I wouldn’t gamble on parking on the street. Little did I know once she saw that Sprinter, she found the answer to her transportation prayers. After cooking all day Friday for 150 guests; I was put on shipping detail. A house full of decorations were also put into the van. This even included an ornate wagon to ferry three baby brides and flower girls down the aisle. It was a long weekend. After all that baking and barbecuing, needless to say I didn’t want to see any chicken for quite some time. Moreover, I was glad to see my sister and new brother-in-law happy. And the Mercedes-Benz Sprinter 3500 Cargo Van made it possible. Final Thoughts: Catering to my vanity, if you are going to drive a van, why not drive a Mercedes? The sharp cut headlamps, clean contours and broad grille give the van a distinctive look. There’s no mistaking the Sprinter for any other van.